The United Nations Special Rapporteur on the independence of judges and lawyers, Gabriela Knaul in a statement issued yesterday (November 14, 2012), stated that, “……the procedure for the removal of judges of the Supreme Court set out in article 107 of the Constitution of Sri Lanka allows the Parliament to exercise considerable control over the judiciary and is therefore incompatible with both the principle of separation of power and article 14 of the International Covenant on Civil and Political Rights.” Ms. Knaul also said, “The irremovability of judges is one of the main pillars guaranteeing the independence of the judiciary and only in exceptional circumstances may this principle be transgressed,” the Special Rapporteur underscored, expressing her uneasiness with the procedure of impeachment of the Chief Justice of the Supreme Court, Dr. Bandaranayake, launched before the Parliament on 1 November 2012. Provided that no resolution for the presentation of such an address shall be entertained by the Speaker or placed on the Order Paper of Parliament, unless notice of such resolution is signed by not less than one-third of the total number of Members of Parliament and sets out full particulars of the alleged misbehavior or incapacity. (3) Parliament shall by law or by Standing Orders provide for all matters relating to the presentation of such an address, including the procedure for the passing of such resolution, the investigation and proof of the alleged misbehavior or incapacity and the right of such judge to appear and to be heard in person or by representative. 1. The impeachment is motivated by political reasons as the Chief Justice, with some other judges has delivered some judgements that the government does not agree with and therefore is not for any exceptional circumstances due to which a judge can be removed. 2. The procedure contained in Article 107 and the related Standing Orders do not comply with due process and fair trial guarantees and also does not provide for an independent review of the decision. Yesterday the government Parliamentary Select Committee had its first meeting and on that day itself, issued the charges to be handed over to the Chief Justice giving her only one week to reply. The guarantees of fair trial require that the inquiry into the charges should be conducted by judicial officers and all the procedural requirements for the making of a proper response by the Chief Justice are provided. However, under Article 107 it is the Select Committee which consists of parliamentarians and not judicial officers who will conduct the inquiry. From that very fact the Select Committee will not be in a position to provide for the requirements of a proper hearing as required under the principles of fair trial. 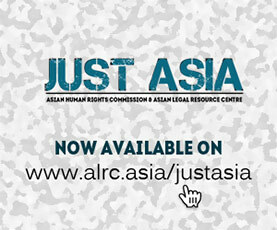 The Asian Human Rights Commission in several of its statements on the impeachment has stated that it is an attempt to destroy the independence of the judiciary and make it a branch of the executive. Under the principle of the separation of powers the judiciary is a separate branch of the government and is independent from the executive legislature. What is now happening is to end the character of the judiciary as a separate branch of the state and to subordinate it to the executive.